What inspired you to write The Boyfriend Bracket? My editor and I were talking story ideas over the phone for my next book. When my editor suggested the brother’s best friend trope, it was like lightning hit me. The story formed in my head right away. That night I couldn’t wait to write the story that would eventually become The Boyfriend Bracket. Early on in my writing career, character names needed to have meanings related to the character and the story. As I matured, I learned to wait until the character introduces himself or herself. Once I know their names, I usually start to know what their story is and how they fit into the world I’m building. I already have an idea for what the next book will be and am doing my research, but I’m keeping what it is to myself for now. I’ve also come to learn not to talk to much about what I’m working on next because the initial draft is never what the final story will be. Learn to love editing more than the writing. Editing is the lifeblood of a novel. Just think about the book you are currently reading and how many drafts it took for the final product to reach your hands. The editing process is usually the longest part of the process, which is why learning how to love it will help keep up your motivation when you no longer what anything to do with the story. 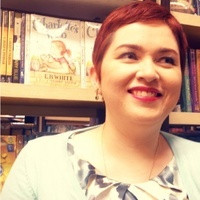 Lisa Kleypas. Reading her work always inspires me to write. That’s why every book has an element of romance. My characters are falling in love no matter what. I can’t help myself. I love love and Kleypas delivers lots of it. She’s also awesome at creating interesting characters. No. I never thought about writing as a career. I was supposed to be a doctor. Then I because a teacher. Then an essay consultant. Only when I realized that writing was always there despite whatever job I was in. I was always happiest when writing. It took me a few years, but when I finally committed, I never looked back. What kind of music did you listen to while writing? Interesting fact, for this one, I didn’t listen to anything. I actually wrote The Boyfriend Bracket at night, when all was quiet. I turned down the lights and in the cocoon of darkness and silence the words flowed. RuPaul’s Drag Race. I don’t know why it took me so long to watch this awesome show? I’m currently binging season 7. The queens get prettier and cattier with each new season. I totally recommend this show. I’ll even confess that I have a crush on RuPaul when he’s in drag. So gorgeous. Gryffindor. Is it wrong that I want to be in another house? Ravenclaws are so interesting. Hufflepuffs are fun to hang out with. And Slytherins are darkly funny. Gryffindors are great too, but my heart is in another house. Other YA books you love? Give us some recs! I’m currently reading Let’s Talk About Love by my Swoon sister Clair Kann. It’s definitely a recommend for me. I want to be friends with Alice and Takumi. Hanging out with them for an afternoon would be so fun. 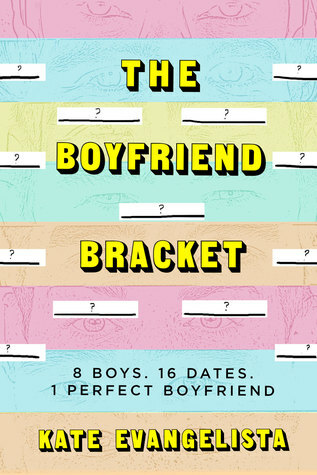 I suggest picking up this book when you grab a copy of The Boyfriend Bracket.